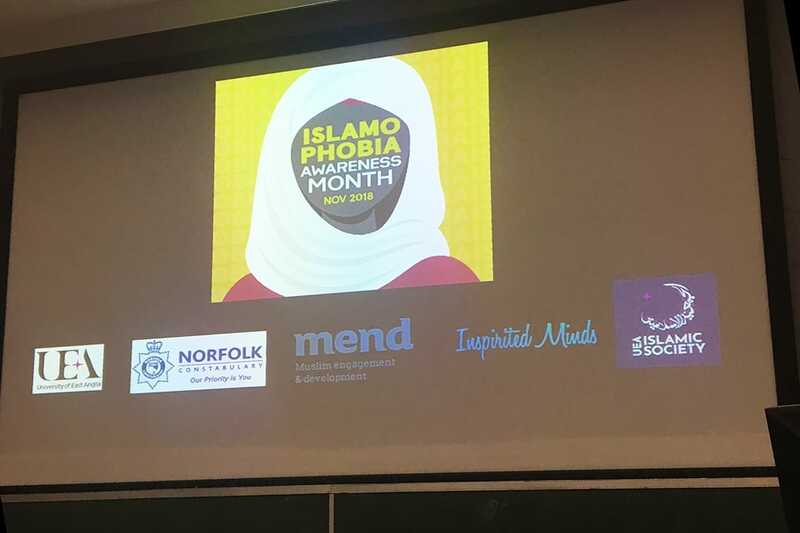 To finish off the month, we celebrated #IAM2019 – Islamophobia Awareness Month 2019 with UEA ISoc, by being on a panel of local and national organisations in Norwich; including Julie Inns Norfolk Constabulary, Professor Lee Marsden a researcher in British Muslim values, Shoaib Mohammed from Mend, and a personal account and the effects on a victim’s mental health on behalf of Inspirited Minds. 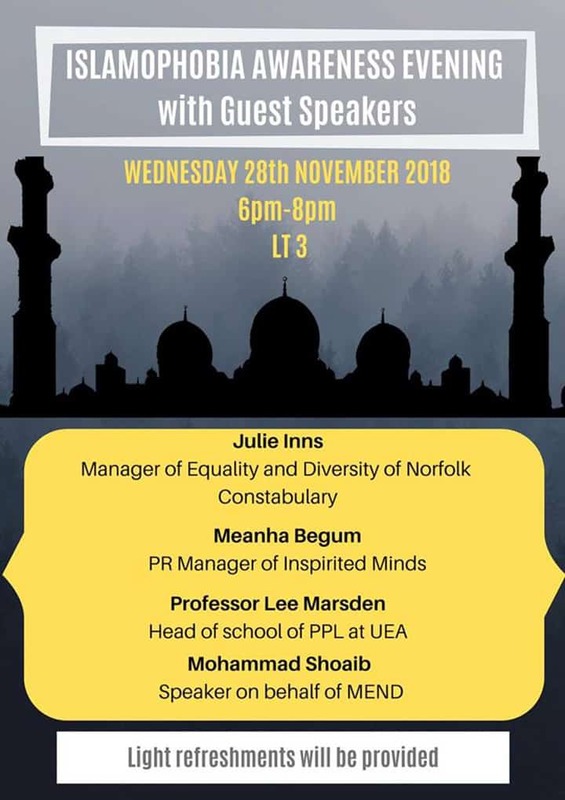 It was an eye-opening event, and a true display of unity and inclusion from many different perspectives. Muslims can live peacefully in the west, and our values as Muslims are not so far off from British Values. 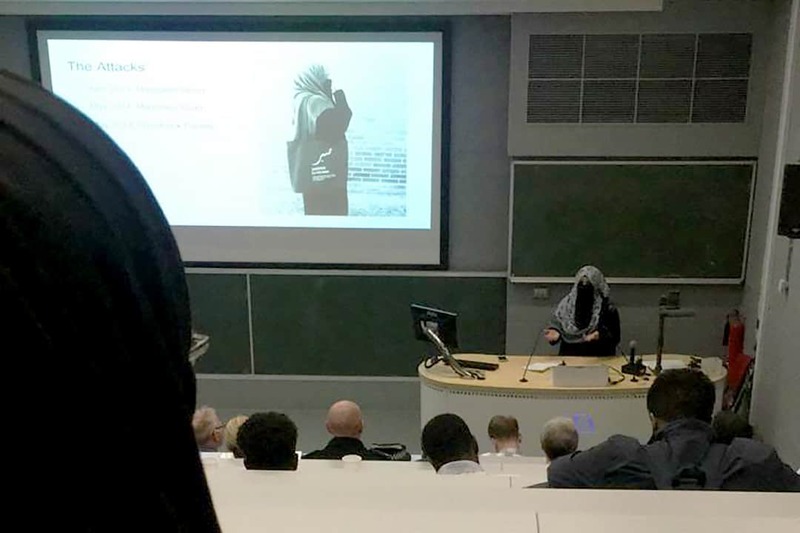 It is important to report any minor incident of Islamophobia as this will help with statistics of hate crime, and show a true representation of the extent of it. 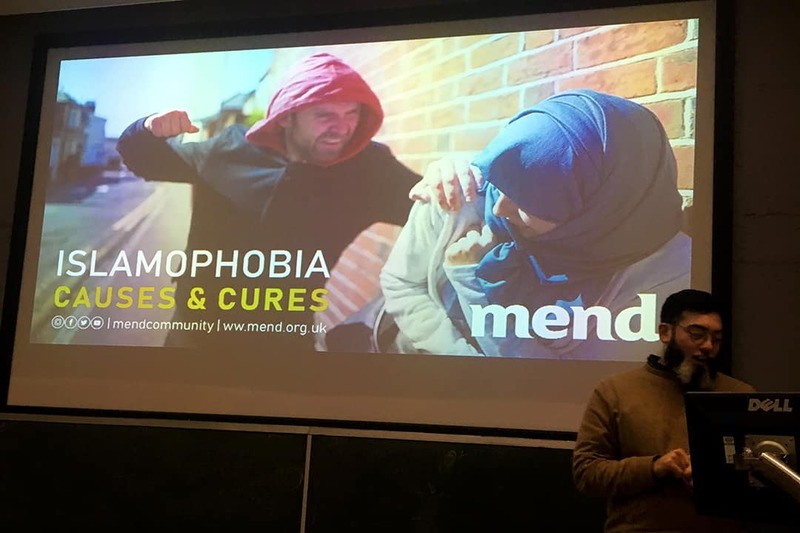 Support anyone who has experienced any time of hate crime to report the incident or offence, and most importantly, support their wellbeing.